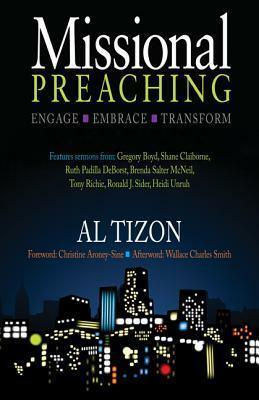 This post is part 1 of a two part review of Al Tizon’s book entitled Missional Preaching. Being someone who cares deeply, not only for the Missional conversation, but also for the necessity of Biblical preaching, I was uniquely interested when my good friend and mentor Brad Brisco asked me to read and respond to a new book by Al Tizon entitled “Missional Preaching”. However, I must admit at first glance the idea of a whole work on Missional Preaching was initially a non-starter. We don’t have to look very far in the current Christian publishing landscape to see examples of authors or publishing houses slapping the term “missional” on a book or curicculum in some surreptitious hope of selling more copies, without fully understanding, or having much care for, the nuance and weight the term carries. While the term, missional happens, for some, to be nothing more than the latest buzz word, for Tizon it is clearly much more! The Essentials of Part 1 are devoted to, Missio Dei, Kingdom Hermeneutics, and Worship; Each highlighting how it is the Missionary Nature of God informs and under-girds all we do and preach. In the next post I hope to elaborate more on some of the themes mentioned above as well as provide some overview of Part 2 of Tizon’s great work.